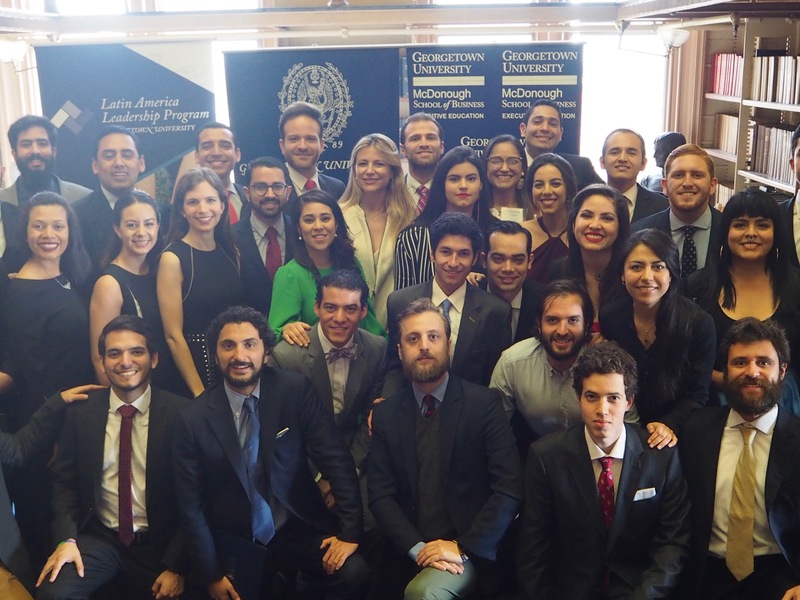 The Latin America Leadership Program (LALP) supports GCL and ILG alumni networks that are active agents of change throughout Latin America. Members of these networks interact and constitute a platform with multiplier impact throughout the region. 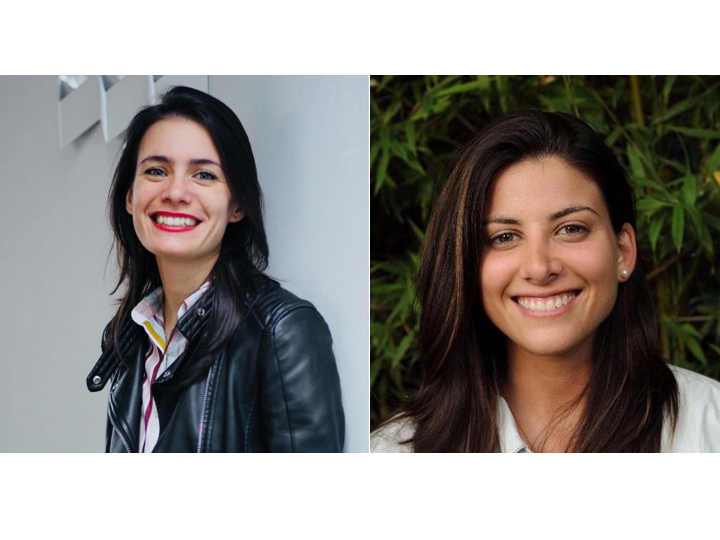 This year’s GCL Impact Award has been granted to two alumni, Melina Masnatta, GCL 2017, and Sofia Contreras, GCL 2016, from Argentina for their project Chicas en Tecnologia, a non-profit organization that seeks to advance the digital transformation and close the gender gap in the region. 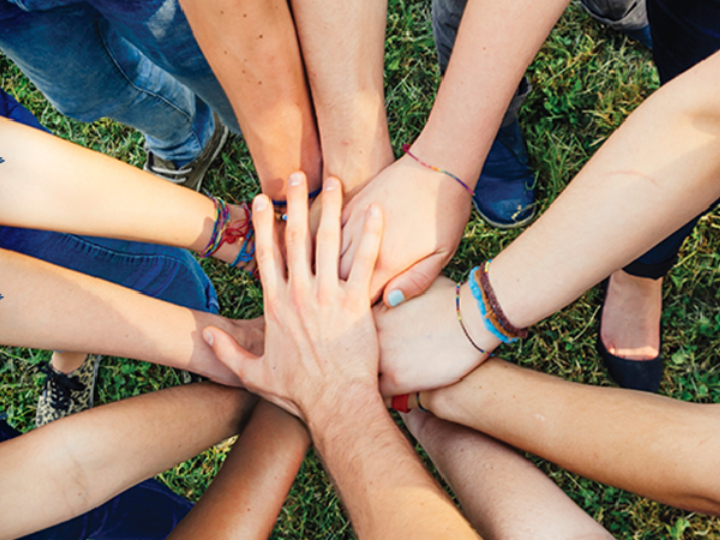 LALP opened nominations for the GCL Impact Award 2019. Former winners included David Smolansky (Venezuela), Soledad Nuñez (Paraguay), Pablo Jaramillo (Colombia), Alvaro Henzler (Peru), Felipe Dib (Brazil), and Alejandro Barja (Bolivia). 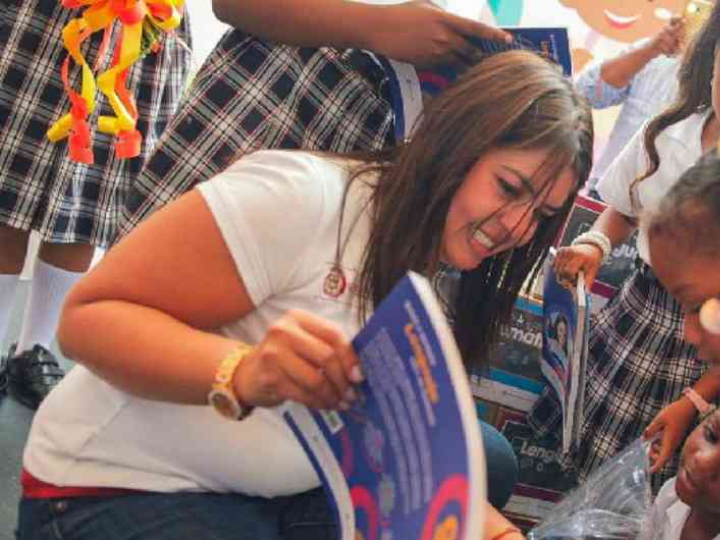 Kenneth Gent (GCL 2014, Chile), Carolina Escallon (GCL 2015, Colombia), and Andres Aramayo (GCL 2015, Bolivia) collaborate to promote significant learning and skills development in order to close the literacy gap in Latin America. 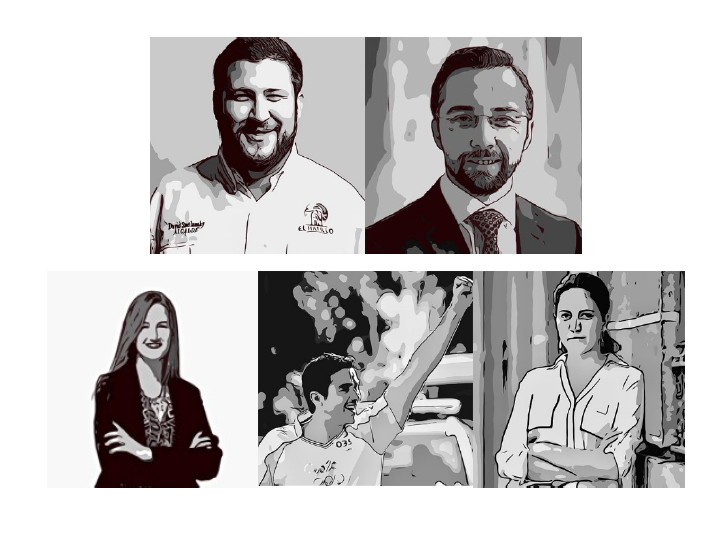 Global Americans launched in 2018 the first edition of the New Generation of Public Intellectuals featuring GCL alumni whose experience and research have started to transcend public policy discourse in Latin America. Isabela Christo (GCL 2017) is the first Brazilian woman ever to be awarded the highly competitive Schwarzman Scholarship for global leaders to pursue a master's degree at Tsinghua University in Beijing. 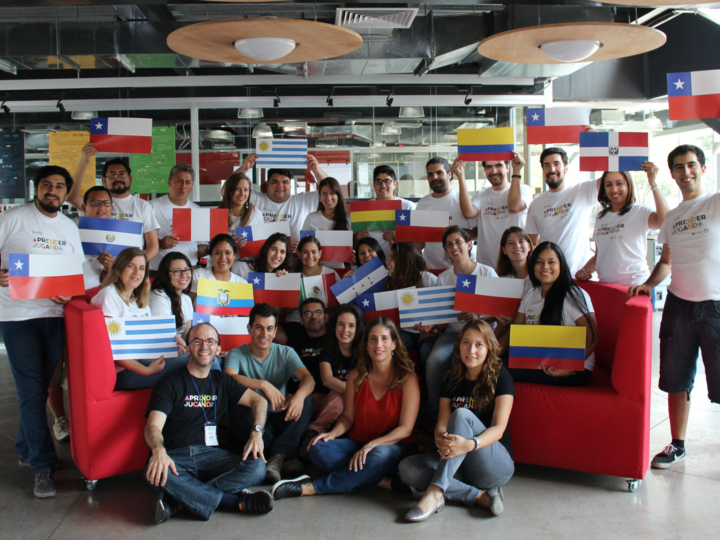 Melina Masnatta (GCL 2017) and Sofia Contreras (GCL 2016) work at closing the gender gap in technology by inspiring, training, and mentoring the next generation of women leaders in technology and leading social impact in the region. 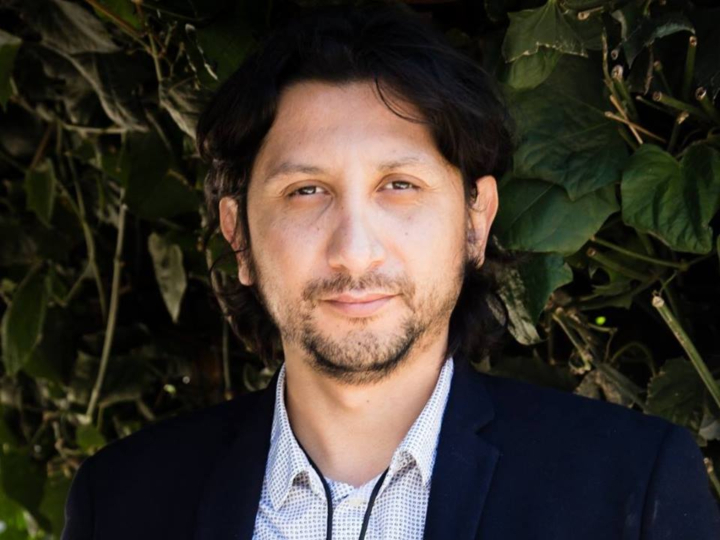 Manuel Laredo (GCL 2016, Bolivia), general manager and founder of Mamut, was recognized as one of the most important leaders in Bolivia for his business leadership. 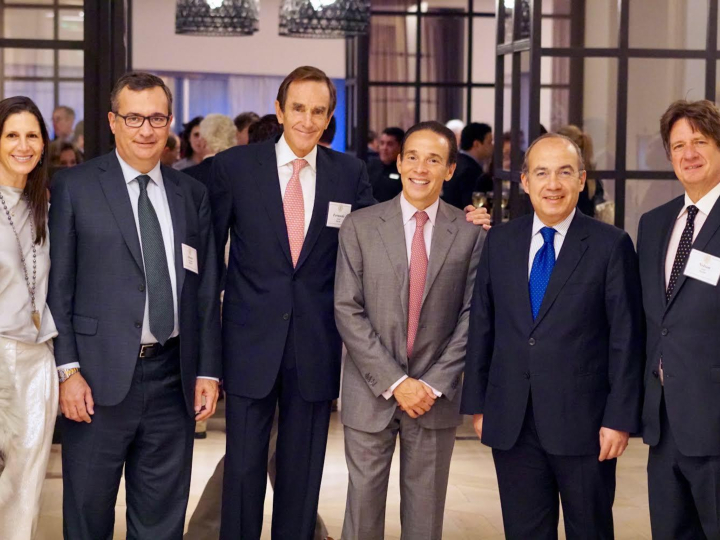 From October 11th through October 14th, 2018, Georgetown University hosted its third International Alumni Weekend (IAW) in Mexico City. To commemorate this ocassion, LAB members traveled to Mexico to hold its biannual meeting and participate in the various weekend activities. 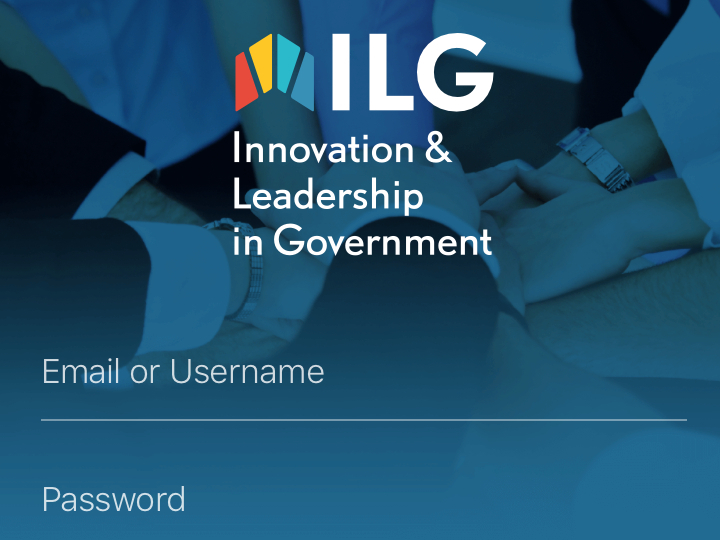 ILG Alumni have now a new online platform to interact and connect with the ILG and GCL networks. The app is also available for Android devices here. The new app for GCL alumni is now available. GCL alumni can download the app for Android or for Apple and login in with their credentials to update their profiles and include information on their current projects. 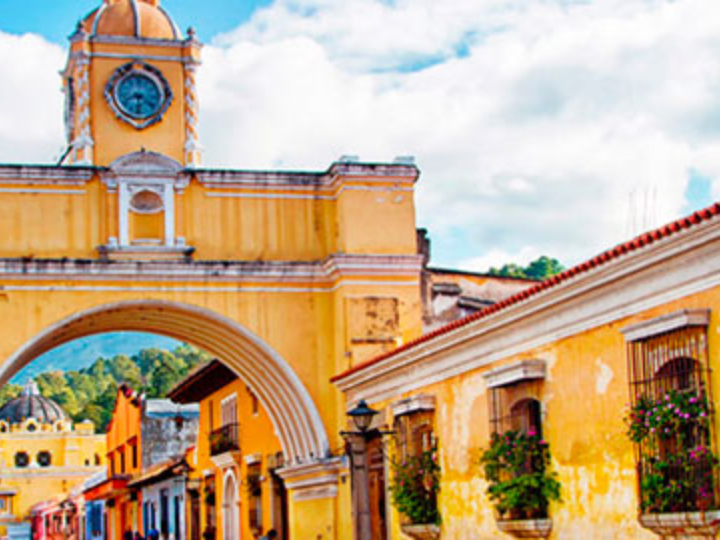 The GCL Alumni Network celebrated their 10th annual reunion in Antigua, Guatemala from October 29-31, 2018. 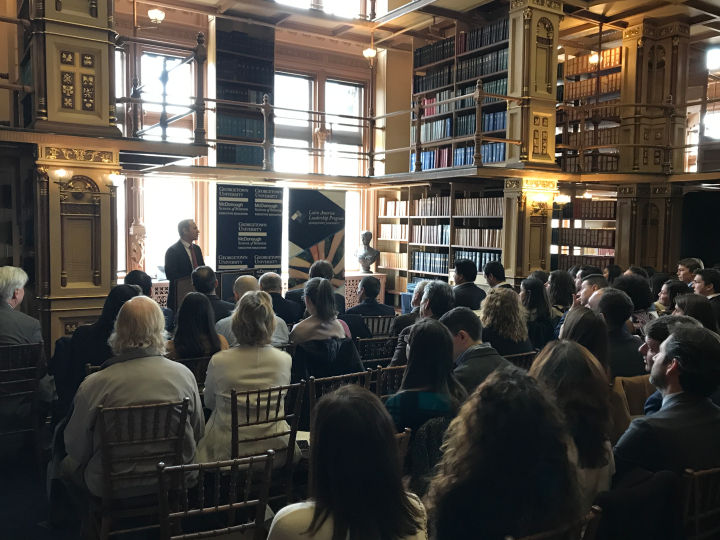 The reunion was attended by Professor Ricardo Ernst, LALP Executive Director, and Latin American Board member, Dionisio Gutierrez. 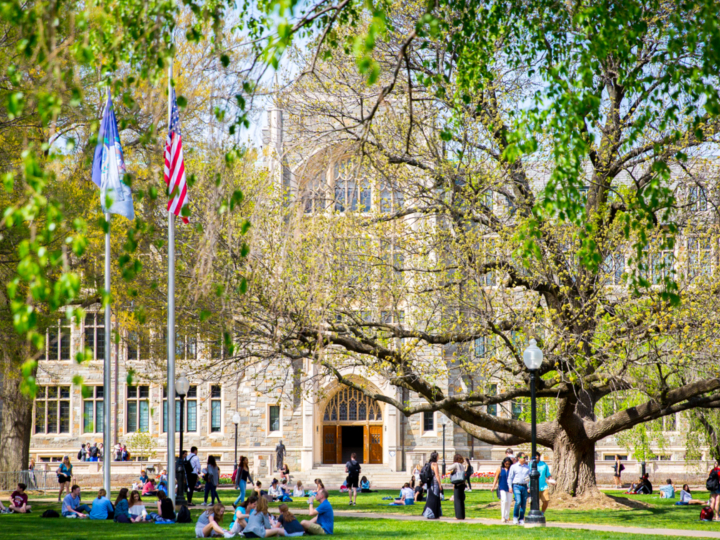 Annual Innovation and Leadership in Government Alumni Reunion Comes to D.C. 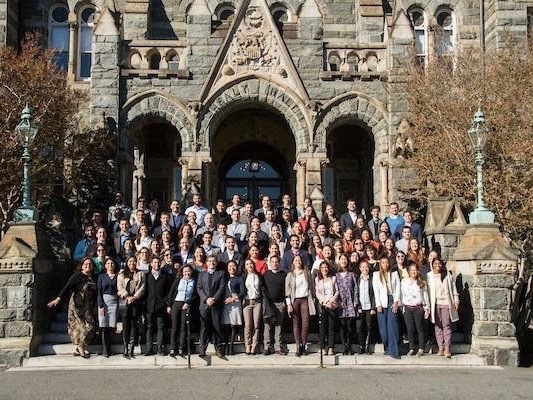 The ILG Alumni Network (115 participants, 16 countries) hosted their annual reunion at Georgetown University from September 26-28, 2018. Representatives from the five ILG cohorts attended the various events. 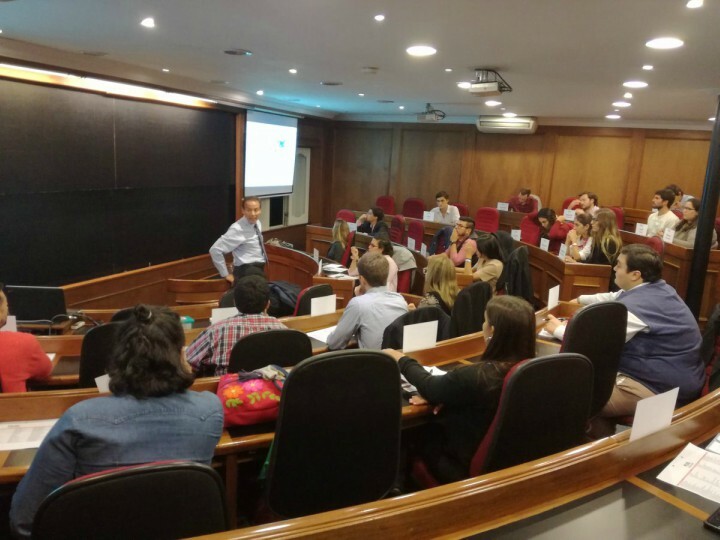 LALP executive director Professor Ernst opened the first edition of the Program of Global Impact Leadership (PLIG 2018), a project of GCL2017 alumnus from Uruguay and GCL Seal recipient Felipe Paullier. 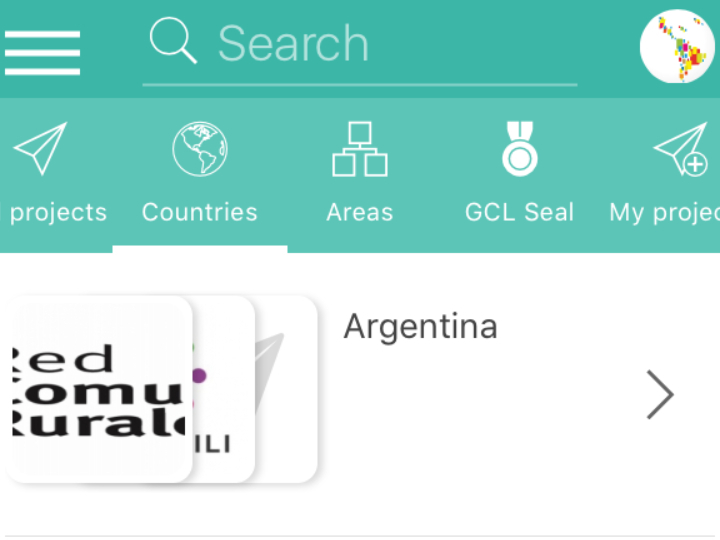 Congratulations to our latest GCL Seal certificate recipients: Sangre Panama, an initiative of Gabriel Rebollon from Panama, and Charly.io, a project of Maria Alejandra Lopez from Colombia. Learn more about these and other GCL Seal recipients here. 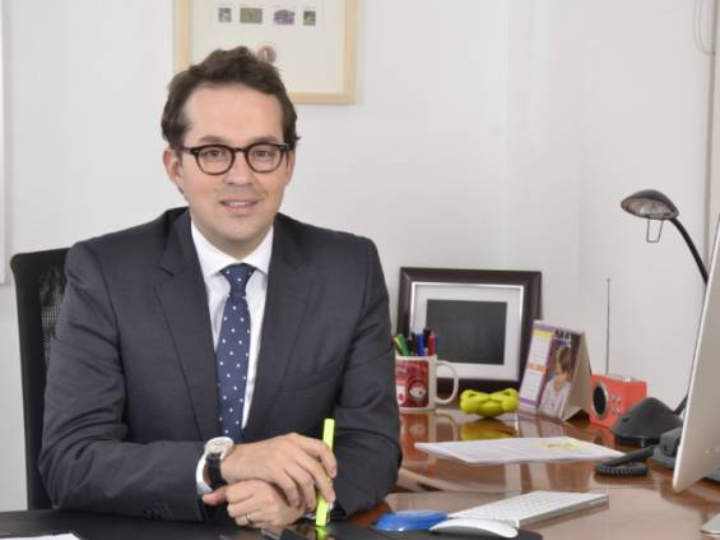 On April 26, 2018, Juan Sebastián Rozo Rengifo (ILG 2017 alum) was commissioned as minister of information and communication technologies (MINTIC) of Colombia. Previously, he served as vice-minister of connectivity and digitalization. The graduation took place at the Riggs Library last March 29. 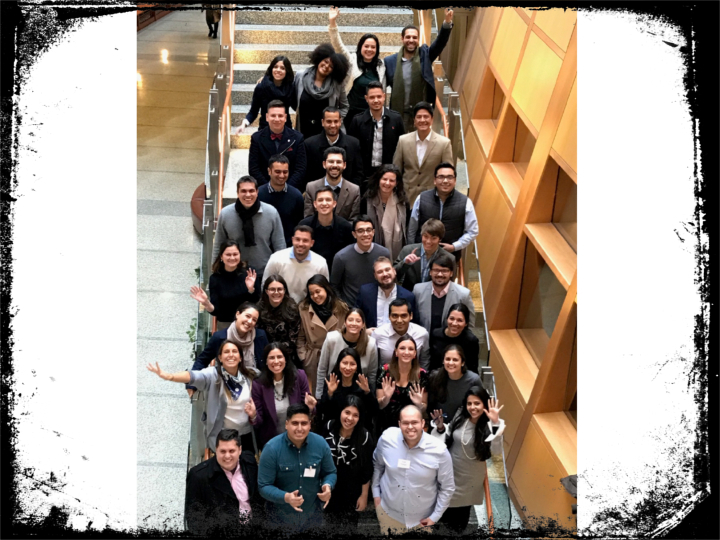 Thirty-four participants from 19 countries graduated from this 10-week program that empowers emerging leaders to become agents of change in Latin America. Welcome to the GCL Network! Smolansky’s efforts for the defense of democracy and human rights have inspired many in Venezuela and around the world. 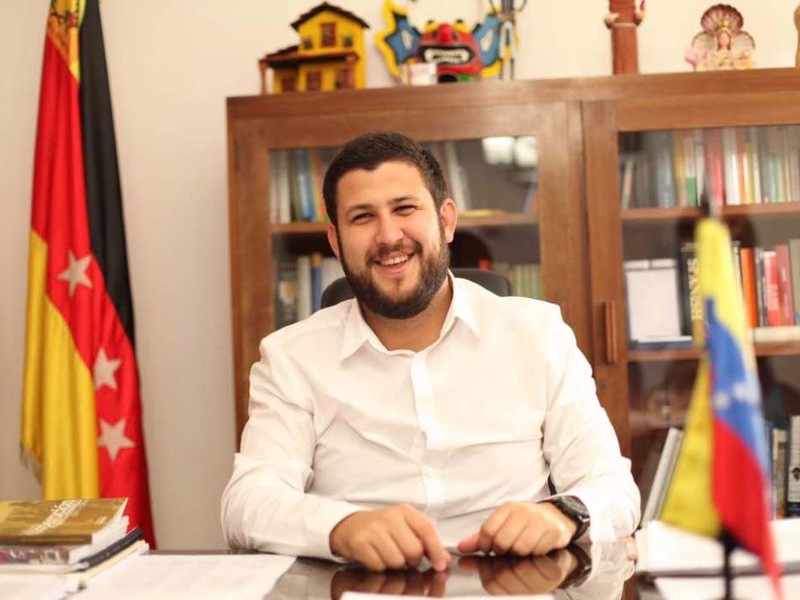 They are a clear example of GCL's mission to generate positive change with a multiplier effect in the region. On January 26, Helga Hernandez, ILG 2015 alumn, was appointed vice minister for preschool, elementary, and middle school education. During her time at ILG, she worked as regional articulation leader for Colciencias (Administrative Department of Science, Innovation and Technology). 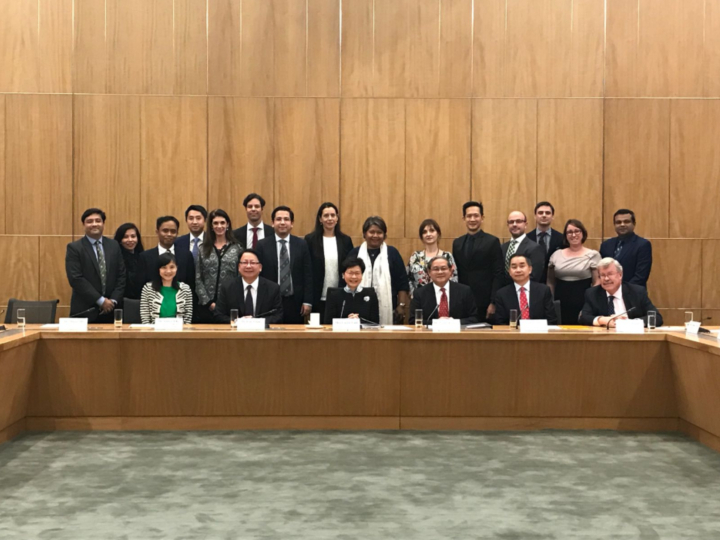 ILG 2016 Alumnus was awarded the AsiaGlobal Fellowship by the Asia Global Institute at the University of Hong Kong. 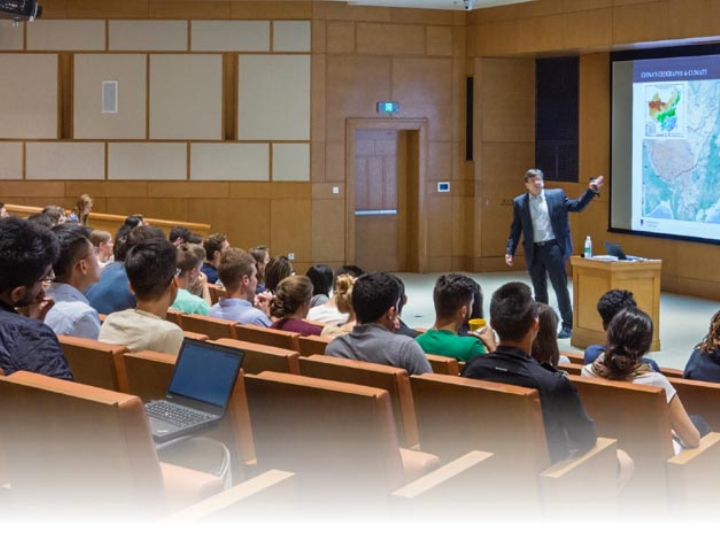 Adolfo Argüello was part of the inaugural thirteen-week residential program for up to 16 mid-career international professionals. 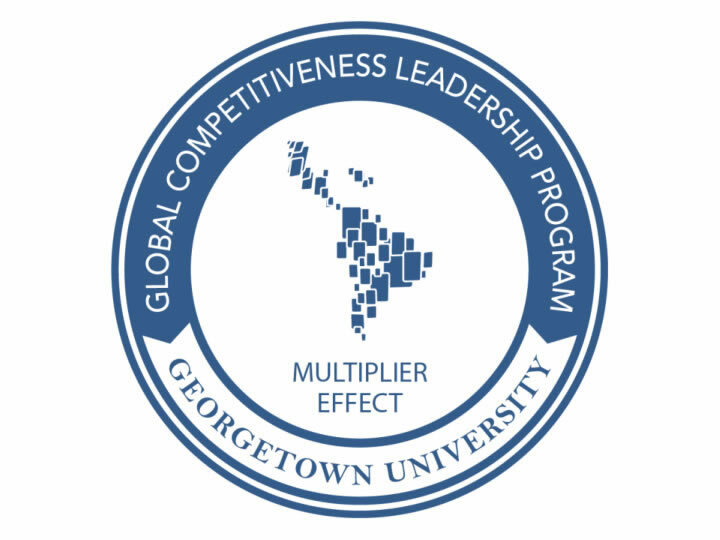 From October 27 to 29, 2016, Georgetown University's Latin American Board (LAB) celebrated the Tenth Anniversary of the Global Competitiveness Leadership Program (GCL) with an annual GCL Alumni Reunion on campus.